The 27th Philadelphia Film Festival program. 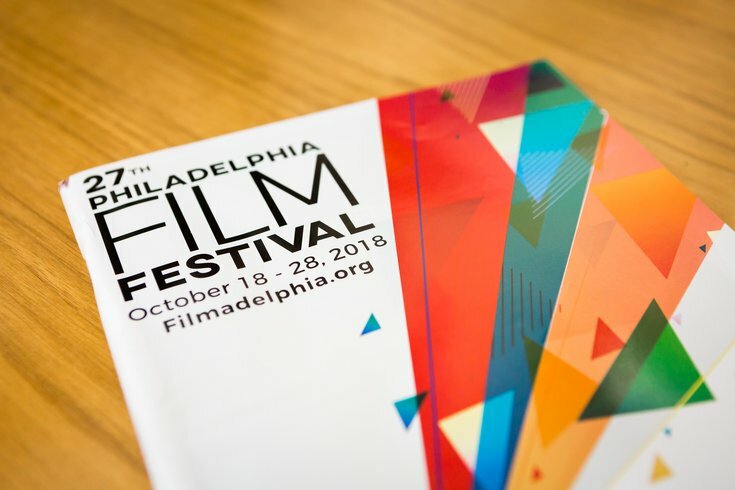 The Philadelphia Film Festival kicks off on Thursday with a screening of Oscar contender "Ben is Back" but as the festival progresses, we'll get the chance to see a lot of homegrown content. Actually, there's an entire section of the schedule dedicated to Philadelphia filmmakers called Greater Filmadelphia. The local players start showing on the second day of the festival, starting with "Egg," a comedy of manners about motherhood and family with a screening on Friday, Oct. 19. Interested in attending screenings of this year's festival, but don't know where to start? Follow all of our coverage here to learn how you can see some of this year's best films. A documentary with strong local ties will close this year's festival, centering around Philadelphia musician Teddy Pendergrass, called "Teddy Pendergrass: If You Don't Know Me." The documentary will make its world premiere at the festival, featuring a panel with director Olivia Lichtenstein and a special performance by members of the Teddy Bear Orchestra on Sunday, Oct. 28 for the festival's official closing party. The doc is anticipated to be a moving portrayal of Pendergrass' life, career, and contribution to music as the first African-American man to record five consecutive platinum albums in the United States, as well as the devastating effects of the accident that left him paralyzed from the chest down at the age of 31. This techno-thriller follows an investor in a virtual reality startup that realizes his experiences using the technology aren't as virtual as he thought. Bryn Mawr native Alex Ross Perry brings a story about a washed-up riot grrrl trying to make a comeback and lead her band to success while struggling with her sobriety. We couldn't find a trailer for this one, but it comes from acclaimed indie comedy director Marianna Palka about two couples clashing over their ideas of motherhood and family while trying to reconnect at a party. Apparently multiple producers involved have shot or starred in Philly productions. Here's the IMDB page. Philadelphia director Nathaniel Kahn has put together a stunning documentary on the contemporary art world and the absurd amount of money that controls what comes out of it. The last quote to the trailer, which I'll leave you with, is this: "There are a lot of people that know the price of everything and the value of nothing." Producer and actor Charles Smith brings us a homegrown comedy set in Kensington about two vigilantes that drunkenly stop a robbery and become small-town Philly heroes. We couldn't find a trailer for this one, either. Here's the IMDB page.